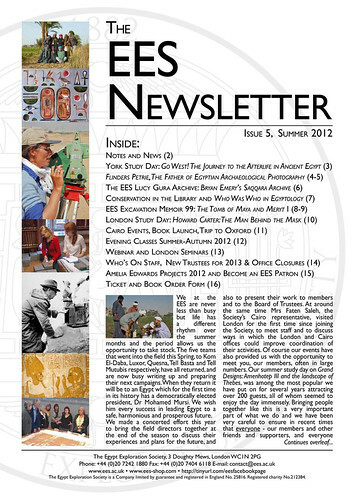 As I wrote (anonymously) in the introduction to the Society’s latest Newsletter, “life has a different rhythm over the summer months and the period allows us the opportunity to take stock” – in other words to review and make light of what we have been doing. The Newsletter is now five issues old; it evolved out of the old ‘News & Events’ leaflet partly in response to a concern I had had that we were not doing as good a job as we might be of ‘reporting’ on the full range and extent of our activities, by which I really mean showing off everything that we were doing(!). In the past we hadn’t always taken every opportunity to make light of all the work we were doing. For example, although our activities in the field have always been well-covered, by our Excavation and other Memoirs, the Journal of Egyptian Archaeology and our magazine, Egyptian Archaeology, the Newsletter fills what had become something of a hole by reflecting the increasing interest placed on the Society’s archives, and plays a major part in our aim to make the material in it more accessible through the regular features it includes on items in the collection and aspects of the Society’s history. The expansion of ‘News & Events’ into the Newsletter is at once a part of the expansion of our activities over the last few years and a reflection of other aspects of that expansion. As we approach the autumn I am again thinking about ‘reporting’ as I begin to turn my attention to the Society’s annual report and AGM. These provide us with the opportunity to make a statement about the year’s activities. Something I have been thinking about this year in particular is not so much that the report and meeting don’t cover the full range of our activities – they do, albeit in brief – but that they do so only in the context of a single year; they provide no indication of development over a longer period than that. As this will be my first cycle of report and AGM as Director, and with an organisational review currently under way it seems appropriate to make a statement about where we are, how far we have come in recent times and what more there is to do – where we are going. Something else I said in the intro to the most recent Newsletter is that “We can also look back on a very successful season of events…” The rapid expansion of our events programme in the last few years was the initial trigger for the expansion of the Newsletter and to an extent the two have grown ‘in synch’ with one another. And so, as something of a dry-run for a wider report to come later in the year I’d like to present here an overview of the expansion of the events programme since 2008. • To provide members and the wider public with the opportunity to participate in our work by engaging with scholars and contributing to the debate on a variety of key issues. In the past few years the Society’s events programme has changed dramatically. 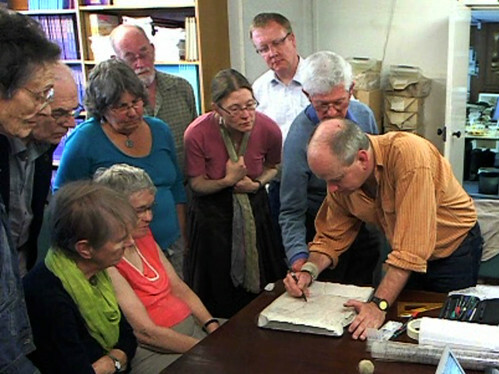 The old programme of free midweek lectures was replaced in 2002-3 with two ticketed study days per year, held usually in June and October respectively, which resulted in an overall increase in attendance and income. 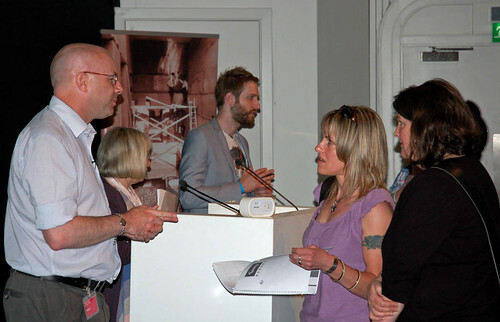 In 2007-8 the summer study day was expanded from one to two days, and a half-day event prior to the AGM and annual lecture (free to members) in December were also added. In addition, two seminars at Doughty Mews were scheduled for the end of that year. From the beginning of 2008-09 onwards the number of events (especially seminars and free lectures at Doughty Mews) has increased dramatically each year. The total number of events organised by the Society has grown from no more than a handful in 2007-8, to 12 the following year (08-9) then 18 (09-10), 24 (10-11) and 25 last year (11-12). 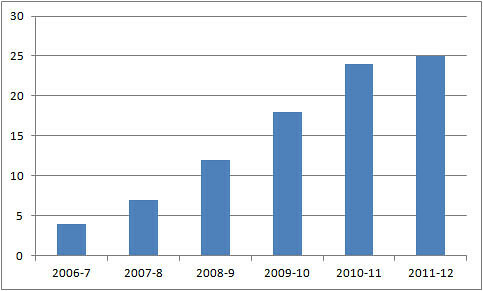 The total attendance has also risen correspondingly to 652 in 2008-9 then 605 (09-10), 1,035 (10-11) and 749 (2011-12). 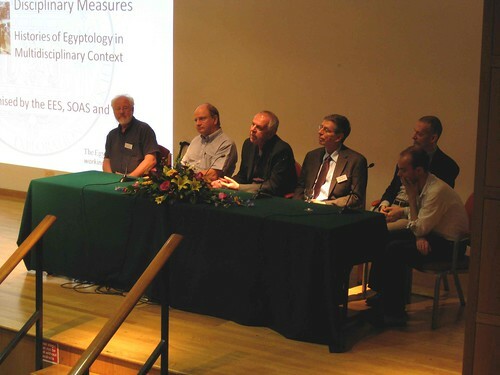 * The ‘spike’ of 1,035 in 2010-11 was caused by the third British Egyptology Congress, an event which has only occurred once during the years surveyed here and was the best attended of the period. Removing the attendances figure for the Congress reduces the overall figure for the year to 813 showing 2010-11 to have been a ‘bumper’ year but generally in-line with a picture of steady growth overall. *Figures do not include the annual lecture held in December following the AGM; this is free to members. 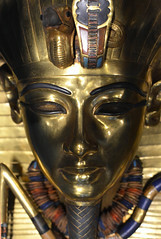 Increasing the number of events has not only provided more opportunities to engage with our members and the wider public, it has enabled us to cover a much broader range of topics, a wider variety of cutting edge research projects focusing on many different aspects of Egyptian culture and heritage. It also allows us to respond more quickly and effectively to developments in other areas of activity; we can, for example, share new discoveries or promote new publications by arranging events at short notice, and a more effective use of online communications allows us to promote these events to a wide audience at short notice as well. 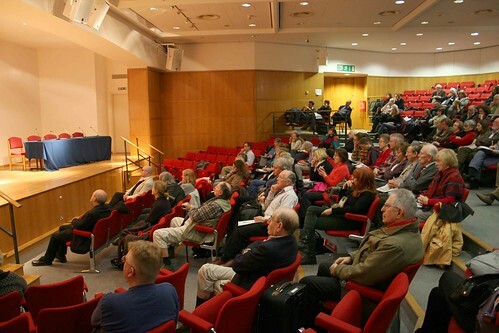 We are now making much fuller use of our extensive network of contacts and knowledge of current research: since 1 April 2008 our events have featured well over 100 different speakers – increasingly from overseas – from numerous institutions in addition to the Society’s own staff, Trustees, Field Directors and others. Our events also provide a platform for colleagues to present their work to a broader audience than they might otherwise normally engage with. The essence of the Society’s role is to provide a bridge between scholarly research and the general public and our events are a vital means of achieving this. Since 2010 we have concentrated on reaching those for whom we might previously have been inaccessible for one reason or another, and broadening our appeal to groups of all ages, and levels of experience / prior knowledge. 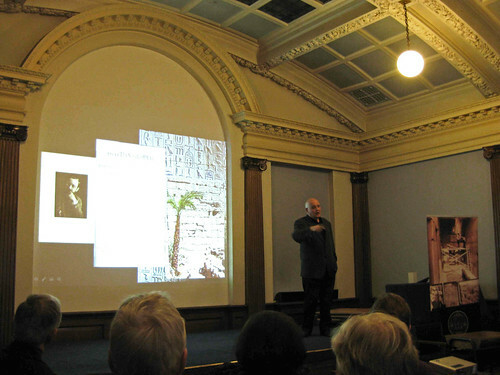 Where previously almost all our events were held in London, often on our own premises where we can offer participants the use of our very substantial library, we are also now hosting events throughout the UK – in Coventry, Durham, York and Manchester, Norwich, Edinburgh and Oxford in recent months – and partnering with other organisations by running joint events to reach new audiences. 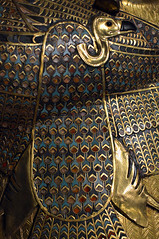 We also now broadcast several events online each in order to engage more effectively with our supporters overseas and anyone else who is unable to attend events in person, and I am delighted that in just over a week’s time we will be running our first event designed specially for, and available only, via the web – a ‘webinar’ on ‘Cultural Property and the antiquities trade in Egyptology’ to be broadcast via USTREAM. The programme also now includes series of classes on a variety of themes including tuition in Egyptian hieroglyphs. We are very keen to ensure that the fullest possible use is made of the library and archive resources housed at our London HQ and organising classes has been a very effective way of achieving this. Furthermore group visits to the collections (most recently from UCL (postgraduate students), RAMASES and Archives for London) have increased in recent years and are now a regular part of our activities along with open-house events, normally organised as part of wider festivals connected with the local area or archaeology and heritage generally. Group visits and attendance at open-house events is not including in the statistics above. In addition the Society now also provides the venue and facilities for series of non-EES classes, and for seminars organised in conjunction with the Association of Curators of Collections of Egypt and Sudan (ACCES) Seminars, of which the Society is a core partner. We have also increased the number of events run in conjunction with partner organisations, combining audiences, expertise and resources to mutual benefit. 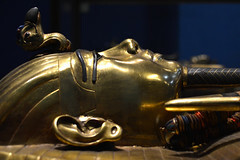 These organisations have included The British Museum, The British Egyptian Society, University College London, The School of Oriental and African Studies, The British Institute for the Study of Iraq, Birkbeck, The Ancient Egypt and Middle East Society, The Palestine Exploration Fund, the Herbert Art Gallery & Museum, Coventry, the University of Durham, Norwich Castle Museum and Art Gallery, Egyptology Scotland, The National Museum of Scotland, Edinburgh, the Friends of Saqqara, Leiden, and RAMASES with whom we are co-hosting a study day entitled ’Environmental Change in Egypt, Ancient and Modern: nothing new under the sun (god Ra)‘ in October this year. Statistics for attendance at these events is not recorded where ticket sales were handled primarily by partner organisations therefore overall attendance at events is in fact higher than is given above. 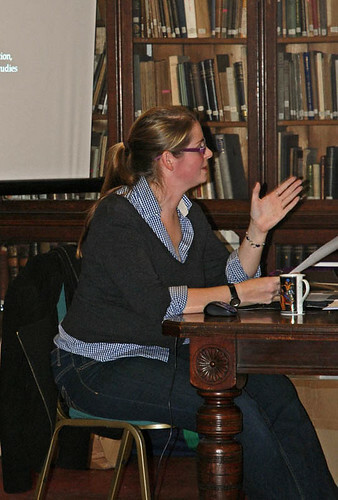 Finally, EES staff, Trustees, Field Directors and others regularly give talks promoting the society and its work to a wide variety of specialist interest and other groups around the country as another initiative to reach new audiences. Since 2010 EES staff alone have presented lectures to The Bloomsbury Summer School, Colchester Archaeological Group, The Friends of the British School at Athens, The Société d’Égyptologie of Geneva, The North Kent Egyptology Society (RAMASES), The Society for Lincolnshire History and Archaeology, The Southampton Ancient Egypt Society, The Staffordshire Egyptology Society, The Egyptian Society Taunton and Wessex Ancient Egypt Society, the Essex Egyptology Group, the Institute of Classical Studies, Thames Valley Ancient Egypt Society, The Richmond Archaeological Society, Sussex University Archaeological Society. As I keep saying, communication is at the very heart of what we do, and spreading the word as widely and effectively as possible is the great challenge for us. The expansion of our events programme and the enthusiastic to that response from our members, collaborators and everyone we have encountered along the way is, I think, something of which everyone involved with the Society can be proud. Our current events are listed here – I hope to see you soon!